If Jesus really were a non-existent figure of history it would be expected that some anti-Christian group would have made this known at some point. In fact the most hostile group towards Jesus and early Christianity were the Jews, yet they affirmed Jesus’ existence by trying to accuse the disciples of stealing Jesus’ body from the tomb (Matthew 28:13, Justin Martyr’s Dialogue with Trypho, 108; Tertullian’s On Spectacles, 30)). We also find anti-Jesus material in the much later Jewish Talmud accusing him of treachery and leading Israel astray. Those that hated Christianity the most just had to discover that Jesus was a figment of the early Christians imagination and expose it, and that would be the end of Christianity, however, not once does this ever happen. There are many independent sources that attest to Jesus’ crucifixion. So many in fact that it is beyond doubt that Jesus really died on a cross. We find that all four canonical gospels (Mark, Matthew, Luke, John) attesting to this fact. We also find Serapion, in his letter, refers to the crucifixion of the “wise king”. Josephus Flavius, writing within the 1st century, refers to Jesus’ crucifixion very vividly, “And when Pilate, at the suggestion of the principal men amongst us, had condemned him to the cross.” Cornelius Tacitus, writing in the early 2nd century, in his work Annals also refers to Jesus’ crucifixion. Eddy and Boyd state that it is now “firmly established” that Tacitus provides a non-Christian confirmation of the crucifixion of Jesus. 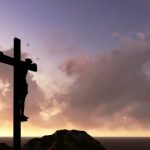 The much later Jewish Talmud states that “On the eve of the Passover Yeshu (Jesus) was hanged.” The early Church fathers unanimously believed that Jesus was crucified on a cross, for instance Ignatius of Antioch, and Polycarp. This should actually count for four reasons to accept Jesus’ existence as each gospel houses, to a greater or lesser degree, independent traditions from Jesus’ life. There is some consultation of sources between the gospels. 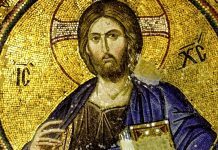 The gospels are undeniably based on a historical figure, and that would, obviously, be Jesus. There are likewise (as I will mention more about below) sources behind the gospels. For instance, Mark is the earliest source, and Luke and Matthew come after Mark. Luke and Matthew do use Mark as a source material for much of their content, yet at the same time seem to also consult another unknown lost source – which is called hypothetical Q (thought to contain sayings of Jesus), there is also another special material that scholars suggest that Matthew’s author consulted called M.
Jim Wallace, a homicide detective, analyses these very aspects of the disciples lives, thus explaining that: “My case work as a homicide detective taught me something important: there are only three motives behind any murder (or any crime, or sin, for that matter). All crimes are motivated by financial greed, sexual lust (relational desire) or the pursuit of power.” So, if this is correct then we should apply it as a criterion to the disciples. 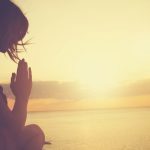 We can immediately disqualify the motivation from sexual lust (if anything Jesus is alleged to have taught strongly against lust, Matthew 5:28), and we can immediately disqualify financial greed as the disciples traveled poverty stricken with Jesus both before and after he died, and happily did so until their deaths. Jesus is also alleged to have taught that finances, if misused and worshiped, would end up getting someone rejected from inheriting eternal life in Heaven if not avoided (Matthew 19:24). Having negated that, then what about power? Were the disciples after that? Almost certainly not. Firstly, the apostles were heavily despised by their Jewish culture as a consequence of their leadership within the early Christian community. If they were lying about their testimony to gain the respect and admiration of the culture they were trying to convert, they were taking the wrong approach. Secondly, many of the disciples (Paul included), and early Christians, only succeeded in gaining the infamy that constantly put them at risk, and eventually, for some of them that we can tell, eventually cost them their lives. This was obvious to them from the beginning; they knew their testimony would leave them powerless to stop their own brutal martyrdom. In concluding this question, certainly not. The disciples had nothing to gain power wise from their efforts. So in essence, they went to their deaths believing their message, and this message they received from a resurrected Jesus. That he was buried in a tomb. That three days later the tomb was found empty. That the disciples, skeptics Paul and James had encountered the risen Jesus. All four of these facts are accepted by the majority of historians in the field; the only exception is that point 3, the empty tomb, is accepted by roughly 75% (or two-thirds) of scholars in the field, which is still the vast majority. This would suggest the historical evidence for Jesus is quite compelling. 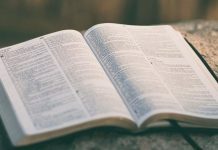 Creeds are important for historians as they usually date much earlier than the actual texts from which we learn about them, and, with this in mind, we find out that the New Testament has its fair share of them. Within the New Testament there are creeds, hymns, and formulations that date to the earliest church (1 Corinthians 15:3-8, Philippians 2:5-11, Romans 10:9, etc.). But the most important one that is discussed is found in 1 Corinthians 15:3-8. In it Paul tells us that Jesus appeared to his chief disciple Peter, then to the inner circle of disciples known as the Twelve; then he appeared to a group of 500 disciples at once, then to his younger brother James, who up to that time was apparently not a believer, then to all the apostles. Finally, Paul adds, “he appeared also to me,” at the time when Paul was still a persecutor of the early Jesus movement (I Corinthians 15.5-8). Given the early date of Paul’s information as well as his personal acquaintance with the people involved, these appearances cannot be dismissed as mere legends based on a non-existent character of history. But what is so important about this creed is that Paul in I Corinthians 15:3-5 is quoting an ancient Christian tradition which he himself received and which goes back to within five years after the crucifixion. In fact, the prominent New Testament scholar James Dunn dates it back to within 18 months of Jesus’ death. 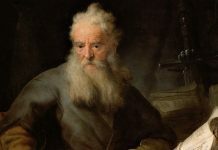 So, in essence, creeds provide a strong basis for Jesus’ historicity as they are early sources that predating the gospels as well as any of the Pauline and other New Testament literature. Some, in the case of 1 Corinthians 15, even date to from within five years of Jesus’ life. Interestingly enough, the bulk of our information on Alexander the Great comes from the prominent ancient historian Plutarch. 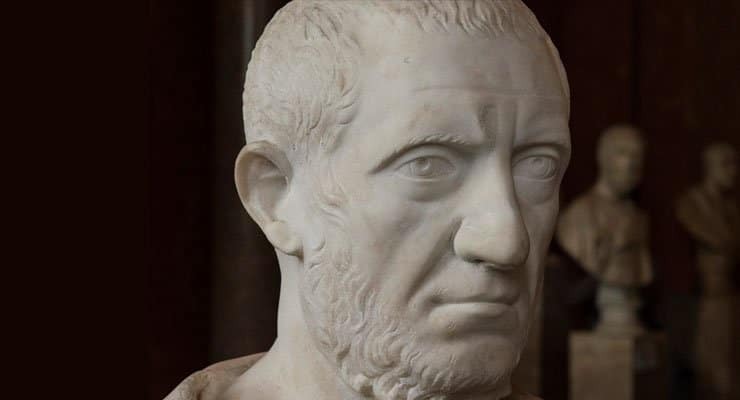 Thus, the earliest source for Alexander used by modern historians is more than 260 years after his death and the most reliable source is more than 370 years removed. When we compare our earliest gospel (Mark) to such a time-scale, it is highly appreciated by historians. Furthermore, this short time period would allow for the impact events of Jesus ministry (miracles, exorcisms, prophecies, death, resurrection etc.) to be fresh in the minds of the eyewitnesses the gospel authors consulted. For many today the 9/11 bombings is a tragic event. It is likewise an impact event, and as a result we will likely be able to recall certain details (did it happen at night or day? Was it a rainy day or a sunny day? Did the rubble and smoke from the buildings cause X or Y to happen? What were some reactions of onlookers near to the event like? etc.). It is likely that we are able to remember these details and the same would apply to the disciples as they knew of the extraordinary things Jesus said and did, and hence they would be able to remember important details because they saw it first hand. If Jesus did not exist then we wouldn’t have Christianity in the first place. In fact, one may argue that if Jesus did not rise from the grave the disciples and Paul & James would not have led changed lives (from their preceding Jewish norms), had a willingness to suffer, or end up martyred (in the case of a few of them) for their faith in Jesus. If Jesus did not exist, or even appear to Paul, we would not have his conversion despite him having persecuted the early Church. The gospels tell us that Jesus’ family thought he was mad (Mark 3:21), and that not even his brothers believed in him (John 7:5). However, when Jesus rose from the dead and appeared to his brother James, James then ends up leading the Church and is killed for this (Antiquities 20 v. 9). Could a non-existent Jesus account for such a radical transformation for all of these men? 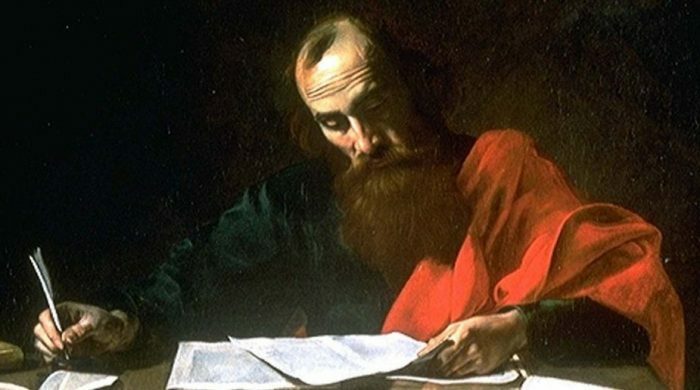 We know of several documents that Paul wrote himself, some of which predate the gospels by 20 or so years (that’s if we agree the earliest Gospel, Mark, was authored at 70 AD the latest). Paul places Jesus in a historical context, for example in 1 Corinthians 15:4 we read about Jesus “that he was buried and was raised”. Paul is placing Jesus in a tomb (buried), and that later the tomb was empty (as corroborated by the gospels). Jesus’ existence, crucifixion and resurrection is affirmed throughout all Paul’s genuine, undisputed epistles. Paul states that he met Jesus’ brother James, as well as Jesus’ disciple Peter. Paul doesn’t tell us much of what they spoke about, but as sure as anything they relayed the events of Jesus’ ministry and supernatural appearances to them after his crucifixion. If anyone were to know of Jesus’ existence it would be Peter and James, the very closest people to him. Evidently none of them left their meeting doubting Jesus’ Earthly existence. Again, this lends credence to the proposition that Jesus existed, at least according Paul. 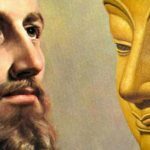 If Jesus never existed then one would need to explain how Paul knew these (and some 27 facts) traditions about Jesus’ life. Further, one would need to argue that Paul was duped into believing that all this originated from a historical person, Jesus. In 1 Corinthians 11:24, Paul writes on Jesus, “when He had given thanks, He broke it and said, “This is my body, which is for you; do this in remembrance of me.” Here Paul is obviously aware of the Jesus tradition recorded in our gospels (Mark 14:22; Matt 26:26; Luke 22:19). After all, tradition doesn’t just pop into existence but is based on historical truth. That historical truth is that Jesus really said and did what Paul had said he did – this tradition is also attested in the gospel accounts which only further confirms their historical value and veracity. When Luke began to write his gospel account he reported that others had previously compiled accounts of the things Jesus had done. Luke was writing to a man named Theophilus, someone he was trying to impress as seen in the Greek vernacular he was writing to him in (Luke 1). Clearly Luke is trying to impress this man. Thus, if that is true the Luke almost certainly wouldn’t make his core reason for writing based on a fictional and imaginary character of history. Such an act would surely have been be uncovered and Luke would be shamed & discredited as a source of information. Secondly, it is also unlikely that Luke would lie about other people having written on Jesus, though what happened to these other writings we do not know. This man named Theophilus would have possibly had access to these other accounts that were being written on Jesus, or he would likely know of others that had written these accounts. Either way it stretches credulity to argue that Luke was lying. It’s been argued that Luke may have referred to other accounts such as hypothetical Q, which could have been multiple oral/written sources, however this remains conjecture. Infancy Gospels – The Gospels leave out much of Jesus’ life as a young boy with the exception of when he was learning in a temple at age 12 (Luke 2:41-52). The Gospels only pick up at the beginning of his ministry at age 30. In other words, the Gospels are silent regarding his life from 12 to 30, and this is often referred to as Jesus’ lost years. As a result of this we find forgeries trying to add events to Jesus’ lost years, such forgeries that appear in the historical record much after the traditional Gospels would include the ‘Infancy Gospel of James’ and the ‘Infancy Gospel of Thomas’. Jewish Gospels – There were many groups of Jewish converts in early Christianity who retained their strong Jewish identity. As a result, these groups typically upheld and maintained the Mosaic Law, and their gospels reflected this. The “Gospel of the Ebionites”, the “Gospel of the Hebrews” and the “Gospel of the Nazoreans” are the three texts representing this group. None of these texts have survived, but we do see references to them in letters written by Early Church Fathers who were critical of their theology and their representation of the life of Jesus. Sayings Gospels – Such an example would include the non-canonical ‘Gospel of Thomas’, which is a collection of sayings attributed to Jesus. 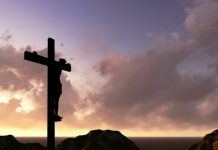 Passion Gospels – We find some ancient writings that are specifically focused on the trial, crucifixion and resurrection of Jesus. The “Gospel of Bartholomew” is one such example. 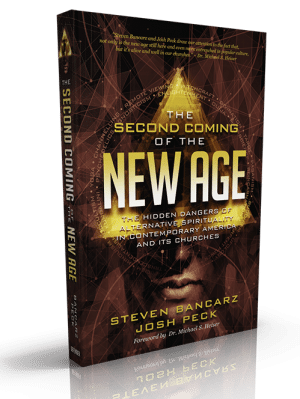 Gnostic writings – These Gospels often appear early in history because these groups were already in existence and well developed even before Jesus was born. As a result, many Gnostic groups simply co-opted the narrative of Jesus for their own purposes. Many of these Gnostic documents portray Jesus in a series of dialogues, providing hidden knowledge intended for those few believers who were part of the sect. “…and brought before them the brother of Jesus, who was called Christ, whose name was James, and some others; and when he had formed an accusation against them as breakers of the law, he delivered them to be stoned”. Now, before we look at the next reference (which is argued to be less trustworthy) we ought to note that this reference is, according to the world’s leading Jospehus scholar, Loius Feldman “almost universally acknowledged”, and thus beyond dispute. Here we have a legitimate reference to the historical Jesus and his brother. The other reference we find in the Testimonium Flavium mentions Jesus in a way that a Jew like Josephus, who was particularly unsympathetic towards Jesus or Christianity, would not have mentioned him. This, correctly, has lead scholars to question its authenticity, and thus scholars have concluded that it is a Christian interpolation. However, scholars unanimously agree that Josephus did mention Jesus in the original before altered copy. Alice Whealey, in her work Josephus on Jesus, believes that the majority of modern scholars consider it partially authentic, despite some clear Christian interpolations in the text. We can know with certainty that Josephus mentioned the historical Jesus twice just merely 60 years after he lived. This is good historical evidence from an independent source written by a credible 1st century historian. Though there has been debate of why Tacitus refers to Jesus as “Christus,” consensus holds that this is a legitimate reference. Along with Josephus, Tacitus goes on to write about Pilate (the prefect that judged Jesus). However, what is important is that Jesus is mentioned by a hostile, independent source within 85 years of his existence. This now makes two authoritative ancient historians who mention Jesus. Louis H. Feldman in his work the Jewish Life and Thought among Greeks and Romansstates that most scholars assume that in the reference Jesus is meant and that the disturbances mentioned were due to the spread of Christianity in Rome. Robert Van Voorst, Professor of New Testament studies, states that there is “near-unanimous” agreement among scholars that the use of Chrestus refers to Christ (Van Voorst, Jesus, 2000. pp 31-32). There is debate as to whether Suetonius provides independent attestation to Jesus or is merely relaying tradition that he inherited. Either way, it shows that no-one of ancient history doubted that Jesus existed. “What advantage did the Athenians gain from murdering Socrates? Famine and plague came upon them as a punishment for their crime. What advantage did the men of Samos gain from burning Pythagoras? In a moment their land was covered with sand. What advantage did the Jews gain from executing their wise king? It was just after that their kingdom was abolished. Van Voorst sees little doubt that the reference to the execution of the “king of the Jews” is about the death of Jesus. Bruce Chilton, scholar of early Christianity and Judaism states that Bar-Serapion reference to the “king of Jews” may be related to the inscription on the cross of Jesus’ crucifixion, as recorded in the Gospel of Mark (15:26). Also, Serapion mentions the “new law” of which might refer to Jesus’ resurrection after his crucifixion, whether Serapion believed in Jesus or not is irrelevant. The genuineness of the passage is accepted; Van Voorst notes that the “style matches that of the other letters” in the same book, and the letters “were known already by the time of Tertullian (196-212 AD).” More importantly, is the testimony by Pliny that Christians died for their faith. This was extremely unlikely to have happened if Jesus had not existed, and these Christians were in a position to know this basic fact. Again, neither Pliny or Serapion doubted that a historical Jesus existed. In fact, they assumed it was the case. The more we consider this as historical evidence, the more Jesus’ non-existence appears to be a modern-day conspiracy. “The Apostles received the Gospel for us from the Lord Jesus Christ. Jesus Christ was sent forth from God. So then Christ is from God, and the Apostles are from Christ. Both therefore came of the will of God in the appointed order. Having therefore received a charge, and being fully assured through the resurrection of our Lord Jesus Christ and confirmed in the word of God will full assurance of the Holy Ghost, they went forth with the glad tidings that the kingdom of God should come. Clement affirms Jesus’ existence rather clearly. What makes Clement even more significant is that Tertullian and Jerome record that Clement was personally ordained by Peter. He was thus a disciple of Peter. Now, Peter was a disciple of Jesus meaning that Clement had access to reliable testimony. Subsequently, Clement of Rome were martyred for his belief in a risen Jesus. It would stretch credulity to believe that he would do so for an imaginary character. Ignatius was a Bishop of Antioch reported to have been appointed to his position by Peter of whom he was a disciple. He is also believed to be a disciple of Paul and John, and was later arrested by the Romans and executed around 100 AD. Ignatius, like Clement of Rome, writes extensively on the historical Jesus in Trallians, Smyrneans 1, and Magnesians xi. What is also significant is that Theodoret states that Ignatius was personally appointed to the Antioch by Peter (like Clement, this implies a personal relationship with an original Disciple, making 1st hand testimony available to him). We are also aware that John Chrysostom emphasizes the honor bestowed upon Ignatius as he personally received his dedication from the Apostles. Even though his testimony would ultimately lead to his death, Ignatius was adamant about the things he witnessed. He reinforces early Christian beliefs in the letters he wrote while in prison. 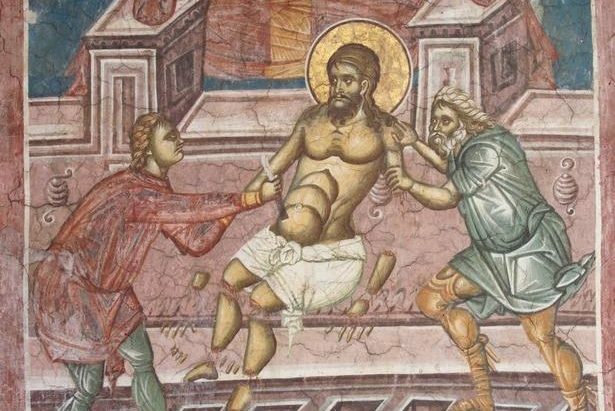 Ignatius refused to recant his faith in the face of death. Hardly something someone would do for an imaginary character of history. General consensus is that the gospels consulted other hypothetical non-existent (or no longer existing) sources. 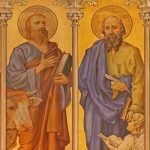 For example, Matthew and Luke both consult the Gospel of Mark, but via textual criticism we can see that Matthew and Luke also consulted another source alongside Mark, but of which does not exist anymore. This is what is known as hypothetical Q. It is believed to have consisted of sayings found in the Gospels of Matthew and Luke. Q gets us closer to the initial events of Jesus’ life, and scholars even date this earlier than the Gospel of Mark. Some scholars seem to date the document in the 40’s whilst others date it in the 50’s, yet still others argue that it could be dated within the 30’s based off the Q containing six wisdom speeches. 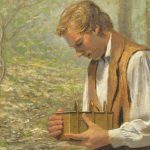 Luke (whom we believe consulted Q) writes that “Many have undertaken to draw up an account of the things that have been fulfilled among us.” (Luke 1:1–4) It is possible that Q source was one of these documents. 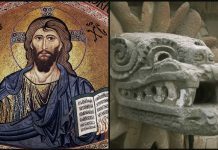 Scholars suggest that the author of the Gospel of Luke seemed to have consulted another additional source: L, generally known as Luke’s unique material. The reason for this is that a lot of stories are found only in Luke, and not any of the other gospels – for example, the stories of the prodigal son, and the good Samaritan are only found in Luke. It is also thought that the L source may have included oral traditions and/or written documents on Jesus. L is therefore material neither found in Mark or Q, both of which Luke used. Just it is the case with Luke, it is held that the author Matthew also consulted additional material known as M. The data that Matthew consults in M is neither found in Q or Mark, and although some are critical of this source, most scholars hold to it. Also like L, M is also thought to contain oral traditions, or written documents about Jesus, or a combination of oral and written traditions. Previous articleWho Wrote The Gospels Of Mark & Matthew? Next articleShould Christians Read Horoscopes?